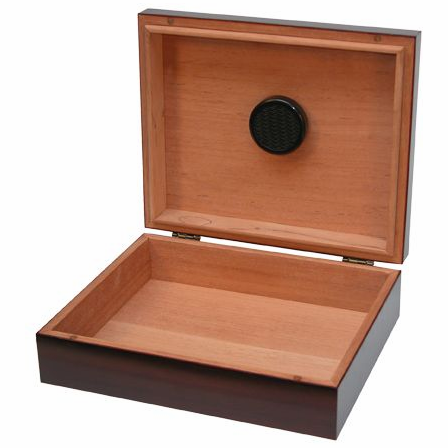 FEATURES/SPECS With its cherry finished wood exterior and Spanish cedar lined interior, this personalized humidor is the ultimate combination of form and function. 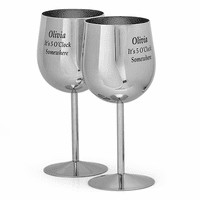 Outside, the wood has a rich, cherry finish that lend itself perfectly to our free engraving. 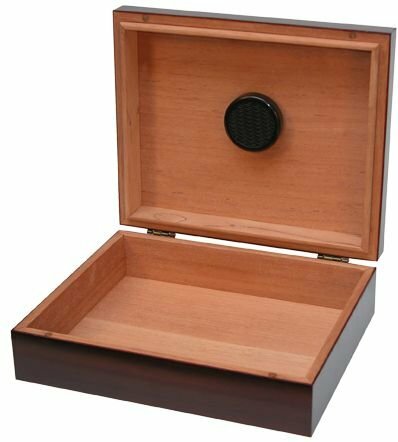 Inside, the Spanish cedar lining and SureSeal technology ensures that up to twenty of your cigars will stay in perfect smoking condition. 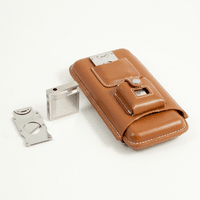 It has brass accents, magnets to secure the lid and a scratch-resistant felt bottom. 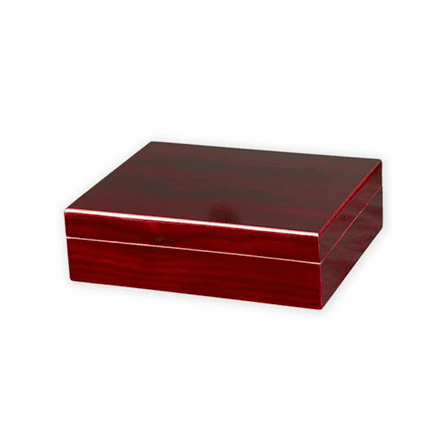 Dimensions (Outside): 10 5/8" x 8 3/4" x 3 3/16"
The box was beautiful and the engravement was perfect but when you open up and it only has a humidifier but no hygrometer or setting to place them when the image clearly shows both devices, it�€™s extremely disappointing especially when gifting the item to someone who is somewhat of a cigar afficianado. 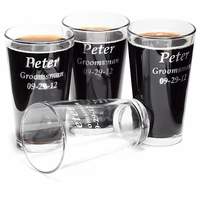 It made what was a very thoughtful gift into something the was borderline embarrassing. Will not purchase from the site again as I simply don�€™t trust what I will get. Merchant Response:We're so sorry about that! There should be two devices inside the humidor. A hygrometer and a humidifier. The hygrometer was clearly missing. We're going to reach out to you via email to send you a replacement. 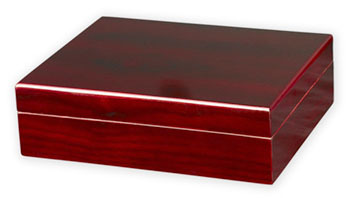 I ordered this humidor without the engraving. It looks great! I love the color and glossy finish. It holds a ton of cigars, which is nice too. ConsNot sure how to put the hygrometer in. I think it needs to be drilled in from the outside. I use Boveda bags so it's not a big deal.